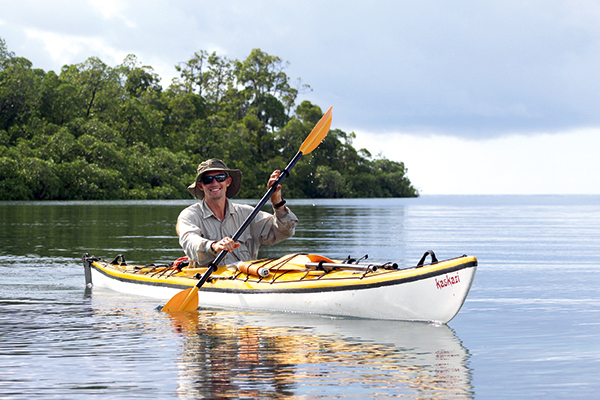 Kayak4Conservation, a social project co-founded by RAMPF employee Tertius Kammeyer, is inspiring people all around the globe for its focus on creating a better, eco-friendly future. At the center of its success stands a maxim that is as simple as it is effective – treating others as one would wish to be treated. Dear reader, please close your eyes and envisage a dense, luscious green jungle, dazzling feathered birds, gleaming white sand beaches, and a teal blue ocean with beautiful coral reefs beneath its surface. For those readers who at this moment are starting to have doubts about wanting to read an article about a man taking an insolently long holiday in paradise, please stay with us. Because Tertius Kammeyer certainly did not spend his time lying in the sun. Together with his partner Max Ammer, he co-founded the social eco-tourism project Kayak4Conservation in 2012, offering kayak tours and accommodation for tourists in the region. Kayak4Conservation kayaks are built in the Raja Ampat Research and Conservation Center fiberglass workshop from specially designed molds, donated by Kaskazi Kayaks in South Africa. “We see this as community development program, as we employ local men as guides and work together with locally-owned guesthouses. This way, income is generated in sustainable, ecofriendly ways as opposed to shark finning, bird poaching, or logging”, explains Tertius Kammeyer. Providing a source of income is all the more important in view of a poverty rate of more than 25% in West Papua. 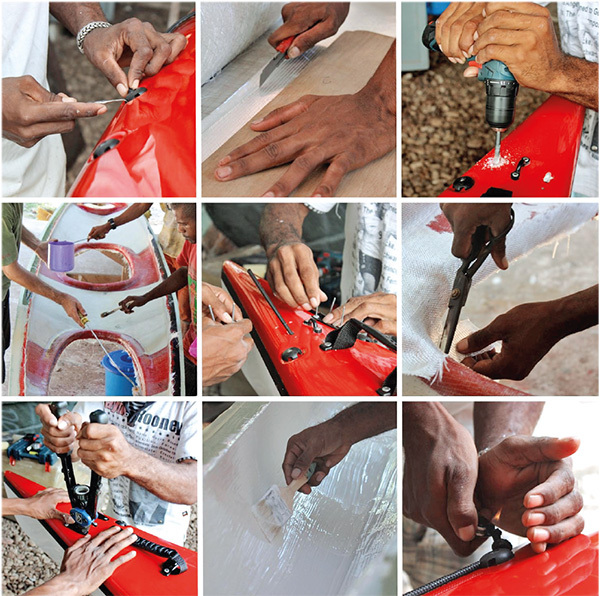 Consequently, the locals are also taught how to build the fiber-glass kayaks that are used. Having started out with four plastic kayaks, the fleet has now grown to eleven single and four double kayaks, hand-lain in fiberglass, in molds donated by Kaskazi Kayaks in South Africa. Pointing out that the most rewarding result of the project was seeing children no longer having to work fields for food, Kayak4Conservation persistently strives for a better future for the island and those who coincide in it. In my mind, I feel that we always strive to better the future. We plan and work towards something, to make it better – whether that is with regard to society, to the environment, or to new products. This itself is a process of discovery. Composites professional and social entrepreneur:Tertius Kammeyer co-founded the social eco-tourism project Kayak4Conservation in 2012. Since April 2018 he is working at RAMPF Composite Solutions in the department Tooling/R&D Technology.